Did you have a favourite childhood toy growing up? There's a little glow worm that I've had forever. His name is Minou. 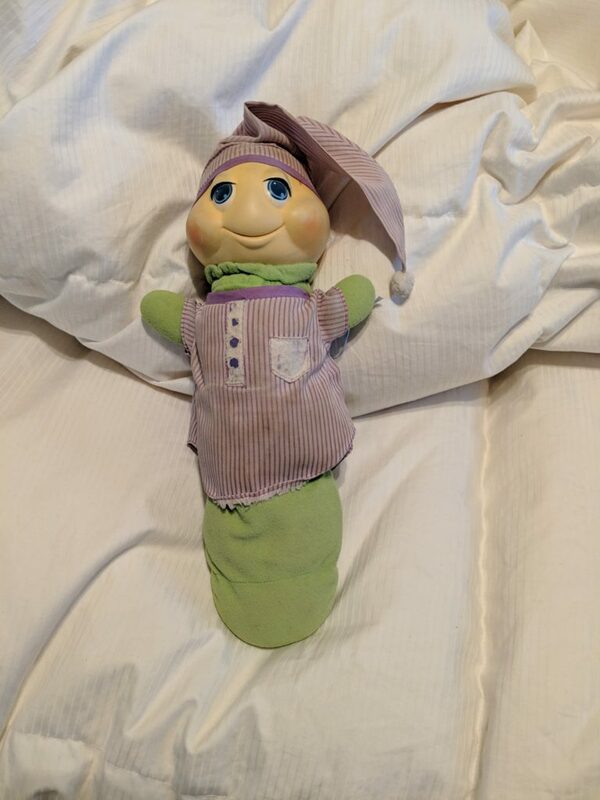 The way my mom tells it, she and I were at the store when I was little, and I found the glow worm on a shelf. I dragged it around the store with me and was so enamoured with it that my mom bought it for me. Minou's been through quite a bit since: it no longer glows, it no longer plays music, its headed popped off a few times (courtesy of my sisters) and was re-attached. His shirt is a little frayed and he's kind of dirty, but he's still my favourite. To this day, Minou still sits with on my bed. I also loved puzzles, and have recently gotten into them again. And speaking of puzzles, one of the main characters from my upcoming contemporary sports romance, The Nature of the Game, also enjoys them. For him, they're a way of keeping his mind occupied so that he doesn't dwell on things he regrets. Keep reading for more about The Nature of the Game and for a chance to win an ARC! Thanks fo joining me on my blog tour stop for Autism Awareness Month Blog Hop 2019. You can check out the stops from other participating authors here. 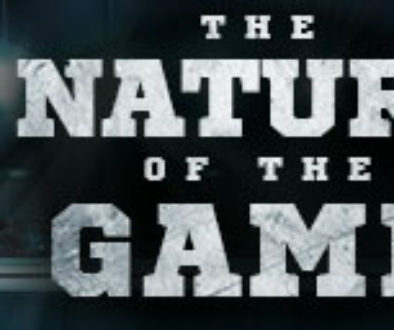 THE NATURE OF THE GAME — COMING MAY 7, 2019! Six years ago, an ultimatum forced Dan Greyson to make a choice that cost him everything he loved most. One of those things? His boyfriend, hockey player Ashton Yager. Now that they’ve crossed paths again, Dan isn’t about to let the opportunity slip away. 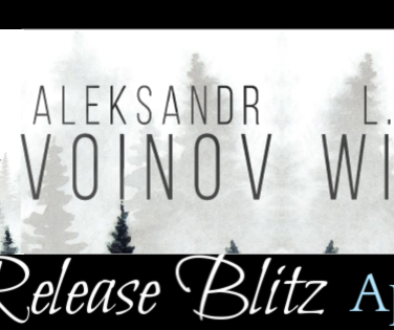 Ash’s reappearance in his life is just the catalyst Dan needs to escape the rut he’s fallen into…and win back Ash’s trust and love. Ashton Yager, once burned and now a little bit shy, didn’t mean to publicly come out as bisexual. But now that he has, he’s got to deal with the consequences, including the fact that it might’ve cost him his NHL contract. With his job on the line, he needs to keep his head down, work hard, and play the best hockey of his life. Rekindling things with Dan? That’s not exactly keeping a low profile. It’s also never going to happen, not after Dan walked away once without an explanation. When a hurricane forces Ash to seek shelter out-of-state, he and Dan find themselves in the same B&B, where old feelings resurface. But with everything Ash has on the line, does he dare play with fire again? The Nature of the Game features two side characters from the first book in the series, On the Ice, but can be read as a standalone. (Although reading On the Ice first wouldn't hurt!) For a chance to win an e-ARC of The Nature of the Game, comment below about some of your favourite childhood toys. Contest ends April 30! I'm supporting Autism Speaks Canada, a charity dedicated to promoting solutions, across the spectrum and throughout the lifespan, for the needs of individuals with autism and their families. My favorite were my Breyer horses. I loved my doll Mrs. Beasley. I’ve always loved puzzles and it’s neat to see my 4 year old great-nephew get into them now too. The one I wish I had now was the Magical Musical Thing, shaped vaguely like a keytar (’80s, you know!) but with plastic touchpad notes. They sounded vaguely like a cross between an electric guitar and a synth, and someone who could read music (I couldn’t yet) probably could play real songs on it. The keys were super-sensitive, though, and once the family was awakened by something pressing on it in the middle of the night, and the droning note had my mom fearing it was a fire alarm. The batteries were a pain to replace, too, so out it eventually went. I guess I could see if they still exist on eBay or something, but my house is so full of books etc. that I should resist the urge. My favorite toy was a soft toy Simba from The Lion King my nanna bought after we saw the movie. I’ve still got him and cherish the memories of him keeping me safe when I was little. One of my favorite toys was a small troll doll. I wanted one with pink hair with red tips. My mom tried really hard to find one but she had to settle for one that had magenta hair with black tips. I loved that thing! Don’t enter me in your ARC giveaway. Nancy Nurse doll and a Chinese checker set.